1 Begin by getting your pan nice and hot over medium heat. Pour some oil and saute onion and garlic. 2 Add kimchi and saute for 2 minutes. 3 Add cooked rice next and saute for 5 more minutes. 4 Season with Knorr Liquid Seasoning and chili powder. If you're in a diet, you have to stay away from this dish. 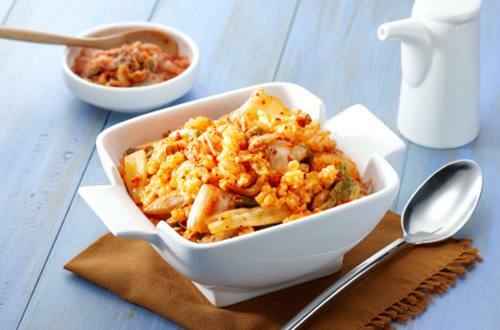 For will find yourself eating more Kimchi Rice.